Foreign travelers who wish to enter the United States are typically required to apply for a visa. Each visa has its own specifications that depend on factors including the reasons of the visitor for coming to the United States. Nonimmigrant visas are called visitor visas, and they may be used for business or tourism in the form of a B-1 or B-2 visa. Attending business-related conferences and conventions. Managing estates and other contracts. While B visas are quite useful, they are not designated for use in some scenarios. For instance, visitors may not come to the United States with a B visa to study or find employment. Visitors with this visa are not allowed to participate in paid performances, work on aircraft or obtain permanent residence within the country. Consular officers have the ability to request interviews with any visa applicant; however, certain guidelines are often in place. For instance, children age 13 and younger are generally not called in for interviews. People between 14 and 79 may be required to come in for an interview, and those over 80 are often not called in. Additionally, some people are eligible to receive a visa waiver for which they may not have to attend an interview. It is wise to check with your consulate or embassy to see if you qualify. Appointments for these interviews must be scheduled through the U.S. Embassy or Consulate, depending on where you are located. Valid Passport – your passport must be valid for at least six months beyond your intended visit to the country. Nonimmigrant Visa Application – this is also known as Form DS-160. Once you submit the application online, print out the confirmation page as evidence of having done so. Receipt of Payment – If you have been required to pay for your application before the interview process, you must bring along receipt of your payment. Photographs – if you complete the DS-160 form online, you may be asked to upload your photo. If not, you can bring a printed photo to the interview instead. You may be asked to provide documentation beyond what is initially expected. For instance, visa officials may want to know more about the purpose of your trip and whether you intend to actually leave the United States at the end of it. Your financial status may be called into question if there are doubts that you will be able to pay for your trip. Officials often ask travelers to provide evidence of employment and family ties to their home country to ensure intent to return.If you are entering the United States on business, you may be asked to demonstrate why your work is essential or beneficial for your company. You may be asked to provide evidence, like a letter written by somebody in your company. Those coming to the United States for medical treatment must demonstrate a need for treatment in the country as well as the financial ability to pay for it. Consular officials have the right to refuse travel for a variety of reasons. 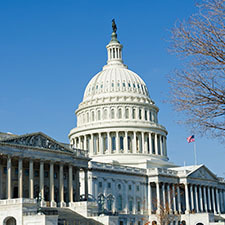 In some cases, natural disasters and illness are reason enough to prohibit tourism or business travel to the United States. For instance, a situation like the ebola outbreak could have prevented travelers from certain countries entering the United States. Of course, these measures are not often necessary. The visa interview is held with a consular officer who has authority to determine whether or not you are eligible to receive a visa. These are the individuals who will decide if you can enter the United States. You immigration attorney can help prepare you for the interview process. Finally, you should remember that there is no guarantee that you will receive a visa. 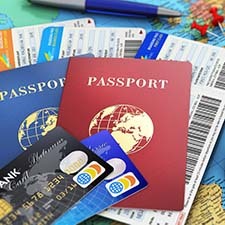 It is not wise to make final travel plans or purchase airfare until you have received your visa. The visa is valid until it expires. If you are interested in pursuing a B-1 or B-2 visa for yourself, and employee or a loved one, contact KPPB Law Immediately. Our immigration attorneys have extensive experience setting-up and managing visitor visas. We believe in educating our clients. KPPB Law. We offer consultations by phone or at our office location so that you can discuss your case with an attorney before making and important decision. Call today or send our firm a message online to schedule your consultation.